Drivers come to Shafer Trail for an opportunity to experience a well-maintained dirt road that packs in mile-a-minute scenery, including well marked Indian petroglyph’s, natural stone arches, and expansive views of the surrounding canyon-lands. 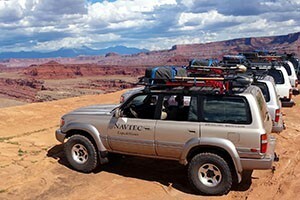 Multi-Day family vacations to Arches and Canyonlands National Park with 4x4, Rafting, Hiking & Canyoneering options. Easy. The road is well maintained. Trailhead: Find the trailhead off Potash Road\Highway 279, about 16.5 miles from its junction with Highway 191. This is great trail for someone who is looking for an off road experience, but doesn’t have access a highly modified rock crawler. Virtually any four-wheel drive vehicle will succeed in navigating this well maintained road. 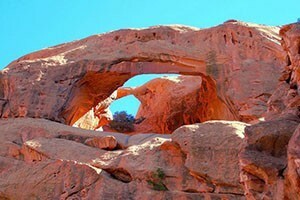 Highlights of this trip include well marked Indian petroglyphs and amazing natural stone arches. 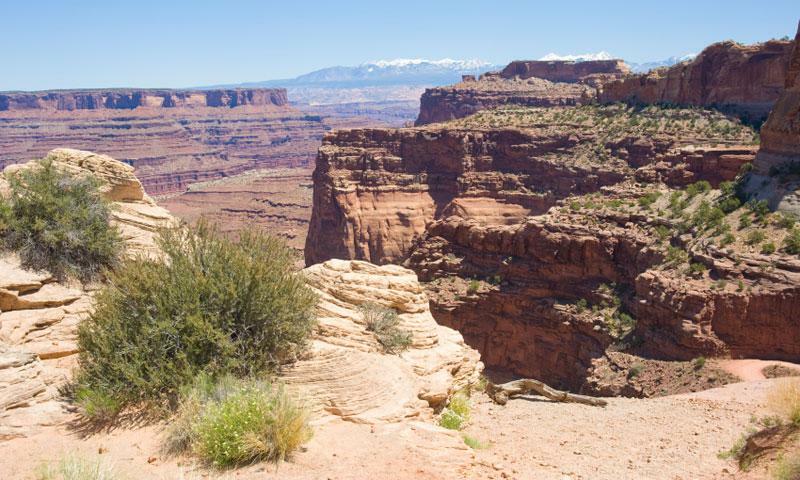 You’ll also have an opportunity to tackle the Schafer Switchbacks, a breathtaking climb with expansive views of the surrounding canyon-lands. From Moab, head north on Highway 191. Turn left on Potash Road\ Highway 279. Continue south on this road for about 16.5 miles until the pavement ends. 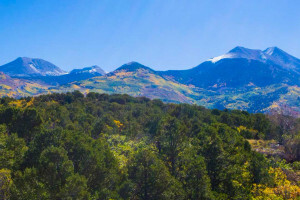 You’ll find the trailhead here. Average Time of Drive: 2 hours.